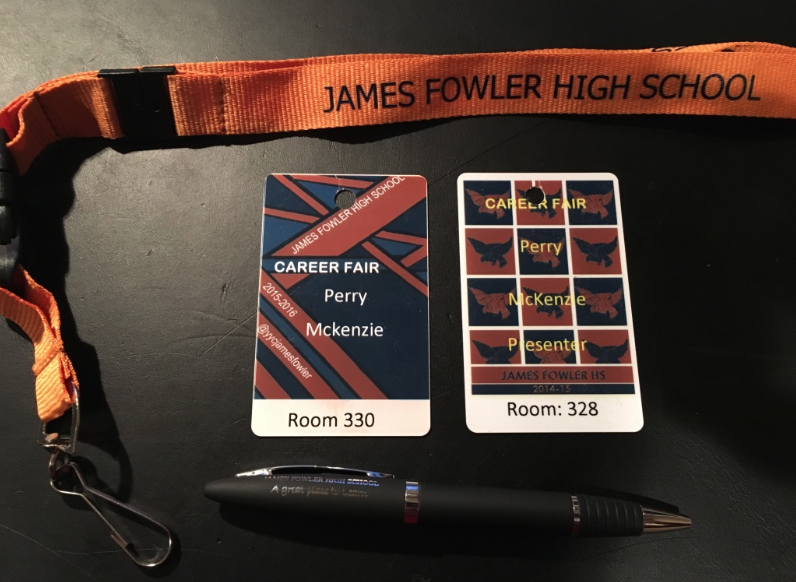 This past Thursday I did some presentations at James Fowler High School on what an IT (Information Technology) career is like. I had a total of 3 presentations in the morning. This was my second year presenting at James Fowler. See this blog post for thoughts on my 2015 presentation. The class I presented in (room 330 this year) held about 40 students. The first two presentations it was full. The third presentation had about 25 students. I had my 'new, updated' presentation on prezi.com, however the computer I was presenting off of crashed right before the first presentation. Yay IT! -> that's a sarcastic comment. We managed to get it up and running in short order and after that things went well.... Click on the image below to view my presentation. These careers involved shift work. While that might seem interesting for a young person, I'll guarantee you don't want to be working shifts for the rest of your life if you can help it. Its hard on your body physically and emotionally, and it can be hard on your family. The fact that they are exciting correlates closely to the fact that they also can be quite stressful. Can you deal well with a lot of stress? Some people can, some can't. 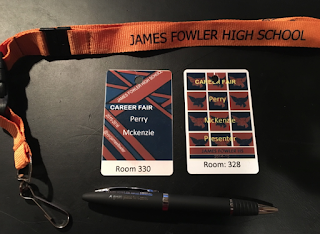 I wondered how I could make an IT career a more palatable, exciting option for students. Perhaps it was by demonstrating that some of the richest people in the world currently had made their fortunes with IT? (Bill Gates, Kevin O'Leary, Elon Musk, Jeff Bezos, etc.) Or maybe it was by showing that the next biggest threat to the world was cyber related? One of the big changes in careers in the last few decades has been the fact that irrespective of what career you target, you need to be prepared to learn for the rest of your life. Technology is influencing and changing every career out there, and technology isn't going to stand still.